Congrats, and thanks for supporting us!! How to find your PROFILE ID? 3. In the lower-left corner you'll see the link. The number after /profile/ is your PROFILE ID. 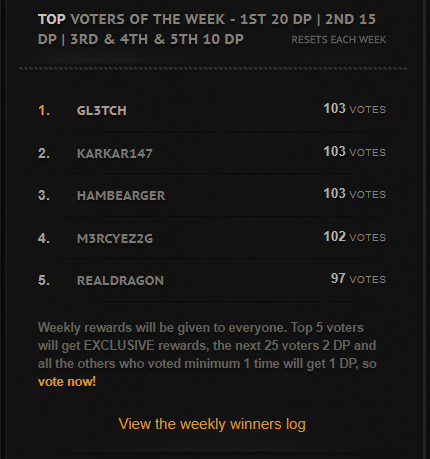 Also, everyone who voted in the past week has been awarded 2 DP's for reaching the weekly top voters achievement. Congrats everyone and thanks for supporting us! Weekly voting rewards have been distributed. Also, the 2500 Votes/Week milestone has been reached, thus every voter has received 2 DP's. 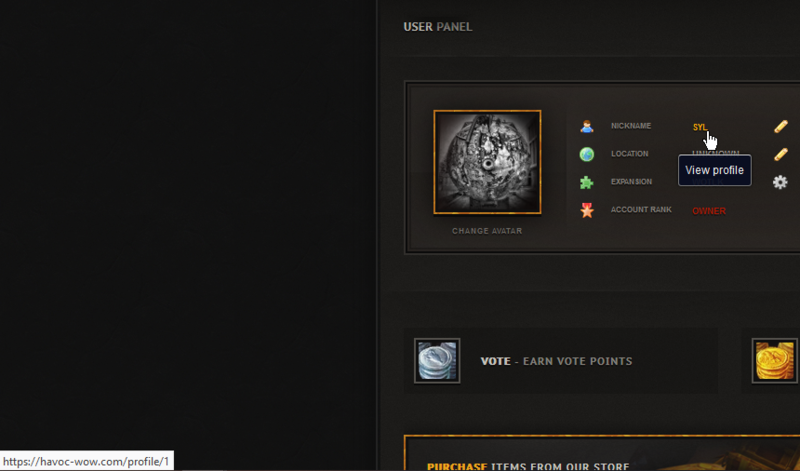 Next milestone: 2600 Votes/Week. To access the list of voters, follow this link: https://goo.gl/Rpj8CF Congrats, and thanks for your continuous support! Weekly voting rewards have been distributed. Also, the 2600 Votes/Week milestone has been reached, thus every voter has received 2 DP's. Next milestone: 2600 Votes/Week. To access the list of voters, follow this link: https://goo.gl/UHgLLh Congrats, and thanks for your continuous support!